Each home, business, or other commercial building has its plumbing drains connected to the sewer system by a single sewer service pipe, or lateral. Laterals on private property are the responsibility of the property owner. The property owner must clean out and maintain that sewer service. A qualified plumber can assist with any clogs that need to be removed. 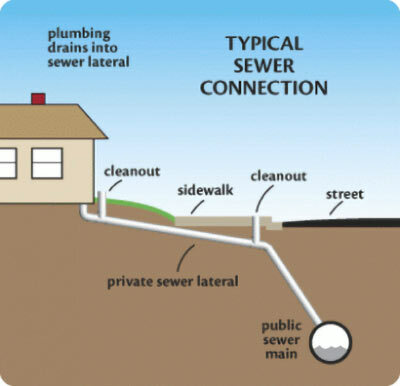 Once the sewer lateral crosses into a street or other public utility easement, it is the responsibility of the Sanitary District. The Sanitary District maintains all sewer laterals and sewer pipes within public easements and streets.